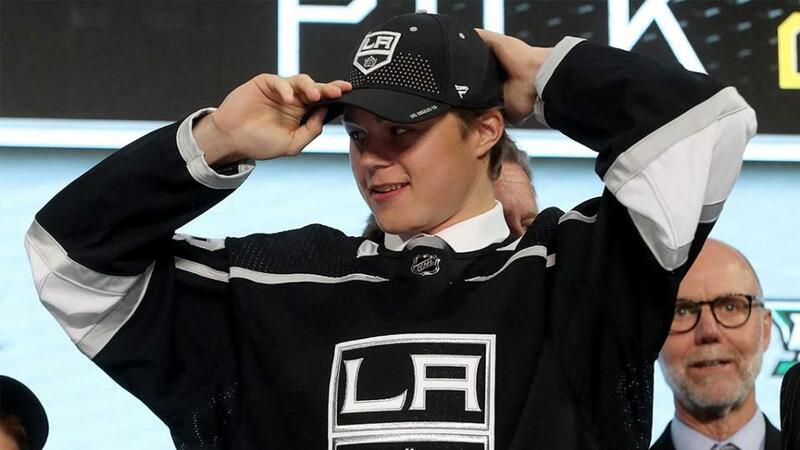 The Los Angeles Kings selected forward Rasmus Kupari with the 20th overall pick in the first round of the 2018 NHL Draft. The annual draft continues on June 23 from Dallas’ American Airlines Center with rounds two through seven. Kupari is a 5-11, 163-pound prospect from Kotka, Finland. The 18-year-old Fin (born March 15, 2000). Kupari appeared in 39 regular season games with Karpat in the Finnish Professional League (Liiga). He tallied 14 points (6-8=14), 12 penalty minutes and a plus-4 rating. It was his first season with Karpat, having played for their U20 team for part of this season and last season, totaling 21 points (7-14=21), 18 penalty minutes and a plus-9 rating in 33 games over the last two years. Rounds two through seven of the draft will be held June 23, beginning at 8 a.m. (PT) with NHL Network providing live coverage to viewers throughout North America from the American Airlines Center.